The basic business logic of our startup is very simple. 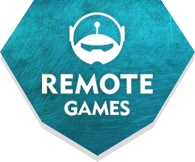 We have built a game platform allowing robots to be controlled from anywhere in the world. The platform also enables payment to be taken for playing time, with play charged at rates set by the arena owners. If you want to create your own arena, you can order robots from us at cost price (or you can build your own, guided by our advice), and then your users will be able to control the robots via our platform. We charge a small commission on all your users’ transactions. We also enable players to teleport from one arena to another without leaving the game, and we promote all the arenas as part of the same, unified project. We can undertake to carry out all repairs to the robots, or we can train up your specialist. We also take care of informational and technical support for every arena. Note that it will take time to produce the robots for your arena – but this is not a problem, since you will be building your arena during that time.